People enjoy doing business on the Internet. It is so convenient to shop at home, and trusting your credit card information to a reputable web platform makes things easier. Hackers are glad you shop online. It makes it easier for them to steal your data and sell it to someone else. Your credit card information, or any other personal material you share with a website, can be used by hackers to rob you blind. Once you discover your information has been compromised, you have to undo all of the damage. It is not easy and takes considerable time. Your credit scores may drop and your ability to secure a loan becomes harder. Countrywide Pre-Paid Legal Services is here to help you. At Countrywide Pre-Paid Legal Services, Inc., we understand that becoming the victim of identity theft can be scary and the process to rebuild your good name can be even more daunting. With our Premier ID Protector Plan, you can rest assured that your credit is being monitored at all times to quickly identify suspicious activity on your bank, credit card, loan or other financial accounts. Additionally, you can take full advantage of complimentary services, such as access to the “Members Only” section of NationalCreditReportCenter.com, a leading source of consumer protection and credit information. You can utilize our customer service support center to get reliable answers to all your credit questions and you can take advantage of our generous $25,000 identity theft insurance if your credit is ever infiltrated. 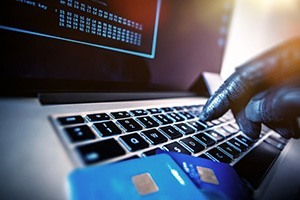 Identity theft is a crisis and it should not be allowed to devastate your good financial reputation. The Premier ID Protector Plan will help you rebound from what could be a sizable disaster. Our services are intentionally designed for quick response. You get the help you need as soon as possible from Countrywide.